In the history of art, the naked skull has typically been a reminder of our finite existence, a memento mori; however, it is the goal of this exhibition to determine whether or not that conception of the skull's identity has changed. 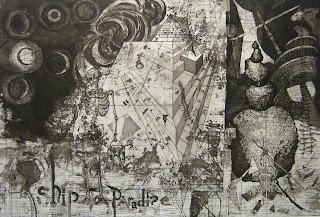 Included in the exhibit is Robert S. Neuman's etching Ship to Paradise-Paradise Found, 1983, 23 3/4 x 35 1/2 inches (plate). Neuman printed 9 state proofs of the etching while employed as professor and chairman of the art department of Keene State College. 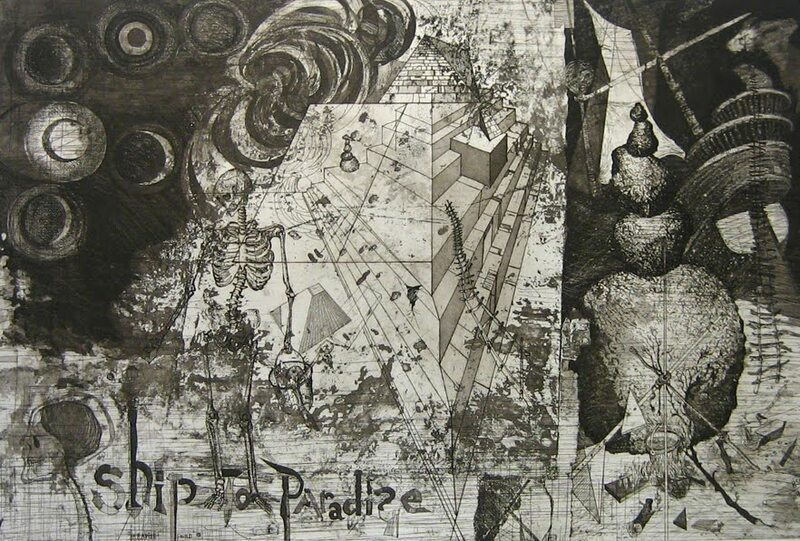 Ship to Paradise-Paradise Found will also be included in Neuman's upcoming solo exhibition this August through November at the Hecksher Museum of Art, Huntington, NY.